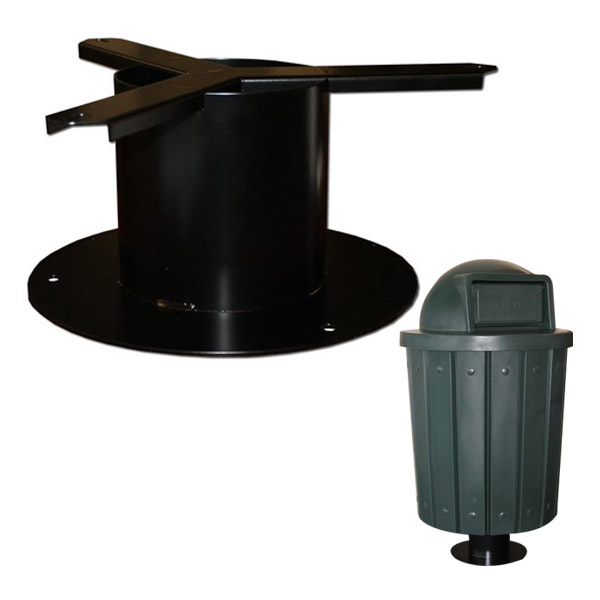 This 42 gallon commercial plastic trash receptacle features a 2 way open lid and easy to clean liner that replaces the need for costly trash bags. Commercial quality plastic is recyclable and made in the USA. This signature slat design trash can does not peel or rust unlike other materials. This trash can is safe to use on playgrounds and parks as the material does not splinter or peel.